While most people did seem to like the OnePlus One design, the OnePlus 2 seems to have opinions divided. We find the design quite decent although it surely won't be winning any beauty contests soon. 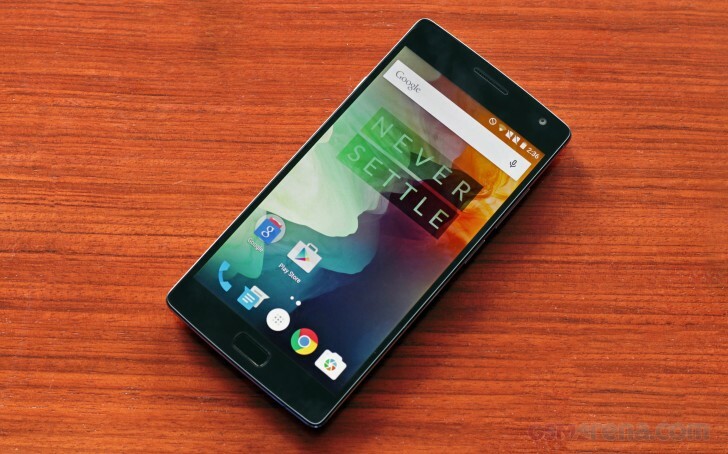 The OnePlus 2 features a 5.5-inch, 1920x1080 resolution IPS LCD. The display is great, with good amount of sharpness and natural colors. The color calibration seems good enough but some might find it a bit bland compared to the AMOLED displays. The brightness, however, wasn't great. The display doesn't get very bright even at the highest setting. That wasn't a problem indoors where we used the phone but it might be hard to see outdoors. We'll have to see about that once we get a proper review unit. The display also has an affinity for fingerprints and within seconds of using it the front gets covered in smudges that are hard to clean. It seems OnePlus has skimped on oleophobic coating for the display. The front of the phone now features the fingerprint sensor prominently below the display. Like the one on the HTC One M9+, the sensor on the OnePlus 2 is not a physical button but can be used as a capacitive Home button. On either side of the sensor are back and multitasking buttons that are hidden quite well until you touch them. The buttons and the Home functionality of the sensor stop working when you switch to on-screen navigation buttons through the settings. The sides of the phone are made out of magnesium alloy. On the right side are the power and volume control buttons that are easy enough to use. On the left, however, is a new three-step sound profile slider that toggles between the silent/priority notifications/all notifications modes, and is very convenient if you quickly want to silence the phone. On the bottom you can see the grilles for the speaker and microphone, and the new USB Type-C connector. It's worth noting that the OnePlus 2 does not include support for the Qualcomm QuickCharge feature, even though the chipset inside supports it. There is also no wireless charging on this phone. 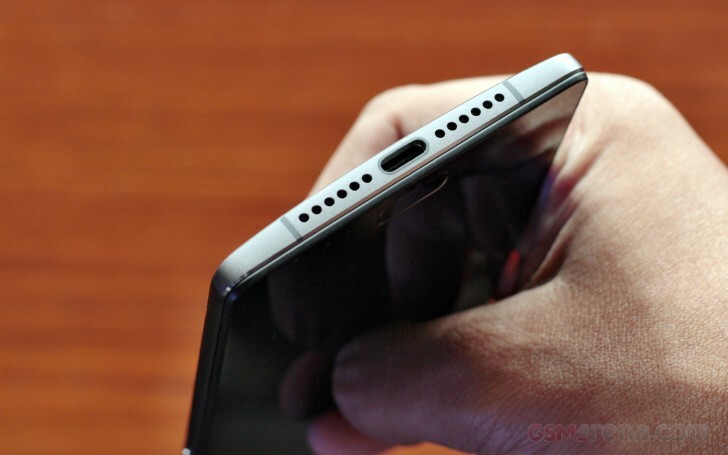 The back of the phone has the same sandstone black finish, with identical texture to the OnePlus One. The OnePlus 2 will also support additional back panels in wood finish, which can be removed and applied easily. The back panels are easily removable now because underneath you will also find the new dual SIM card tray. The battery is still non-removable though. The general build quality, fit and finish of the phone is good and the OnePlus 2 feels like a high-end device without actually costing as much. It is still a big phone, though, so if that's something that bothered you about the previous phone, then you should bear in mind that this is something that has not changed with the new one.